Dunnield, owned by Peter and Fiona Howe, has been in the Howe family since 1896. 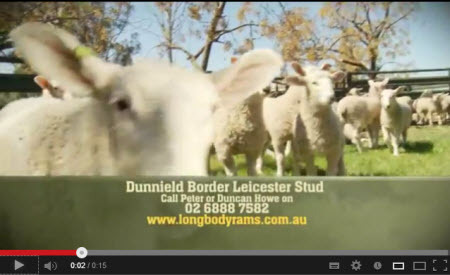 The 2500 acre property is the home of the Dunnield Border Leicester Stud located Central Western NSW Australia. The Stud was established by Max and Jenni Howe in 1954, on Kelso bloodlines. 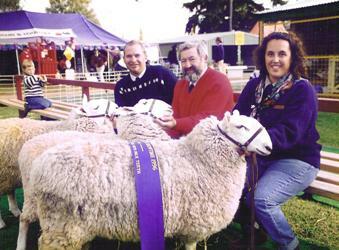 Over our 57 years of operation, the Stud has won several hundred Championship prizes in both Central Western NSW Sheep Shows as well as Sydney Royal Easter Show. 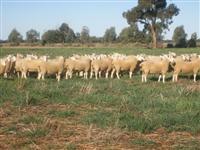 The Border Leicester Stud has over 1100 breeding ewes and strives to produce the longest bodied lambs available in the Australian Market. 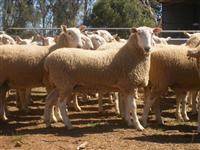 We sell approximately 530 rams per year, making “Dunnield” one of the largest registered Border Leicester Studs in Australia. This has enabled a long-standing loyal client base to be established, whilst always welcoming new buyers. Dunnield caters for the both the smaller breeder requiring only several rams, as well as larger buyers purchasing up to 130 head. 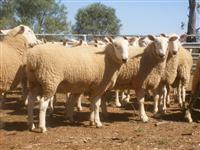 Long Body Stud Rams and Stud Ewes are available for private sale year round, and we pride ourselves on being able to select according to the buyers needs. For further details, please contact us.